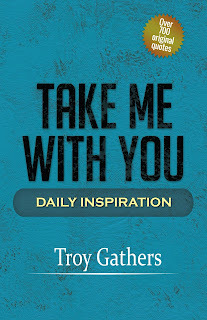 "Take Me With You is not your average book of quotes. This original collection of quotes was composed to be thought provoking and bring change in your life. Unlike similar quote books that focus solely on emotion, Take Me With You provides an insight into real everyday life experiences. The purpose of this book is to move and inspire you into a new chapter of your life."